The world officially has “Spring Fever”. Okay, maybe not the entire world, but the world of blogging/pinning/and instagramming. People seem to be generally fed up with winter. I’ve always obsessed over winter: cute scarves, hot cocoa, BOOTS, but I can honestly say that I am tired of the chilly mornings. Tucson has been completely bipolar this winter bringing in several frosty days (including a quite SNOWY day), with a mix of mid 70’s sunshine. It’s…confusing, and it has me yearning for consistently beautiful temps. Along with gorgeous temperatures, Spring brings flowy dresses, pastels, and a sense of newness. What is easier/more fun than changing up your hair style? (Answer: Nothing). The last time I really “chopped” off all of my hair was in 2009. 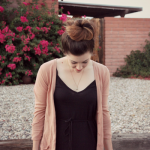 It was the Spring of my very first semester at the University of Arizona and a pretty transitional time in my life. I was ready for change, so off it went! Several of my favorite fashion bloggers have changed it up by cutting their long lengths, and I can honestly say I am considering it! It has taken me FOUR long years to grow my hair to the length it is now. While that freaks me out, I think I’m ready for it. Coincidentally, I happen to be in another transitional phase of my life (girlfriend-fiancé-wife), so why not? All photos used are from Google Images. I will probably go with an Olivia Palermo or LC length cut, to be safe. 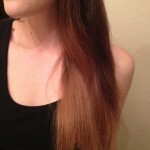 But I love the idea of ombre at the ends to jazz it up! What do you think!? Will you be changing anything major this Spring? 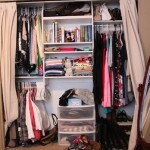 Be on the lookout for my upcoming Spring Cleaning post! Meg: Long hair. DO care. I chopped mine about a month ago and LOVE it! I went from reddish brownish and halfway down my back to an angled bob between my chin and shoulders that’s dark dark brown with some fun red tinted pieces. Every once in a while when I see a girl with a cute braid I miss my long hair, but lets be real…I NEVER braided my hair. Its so much easier with a baby now to scrunch and rock the bed head look! It makes me giggle to see your idea of “short hair” is the LC and Olivia cuts!! Haha! I just chopped off all my hair a couple days ago. For about two minutes, I was horrified and hated it, but I already love it now. I had her do a long bob with the front longer than the back. The front is halfway between my chin and shoulders and the back is pretty short, maybe an inch less? I thought about going Ombre but chickened out. DOOOO it, you’ll love it and getting ready in the morning is a breeze with short hair!!! Gah I yearn for a new way to do my hair, but as a curly girl (Curly Sue curly, not “relaxed and carefree curly”) I feel like my options are pretty limited with regards to cut. All of the amazing Pinterest tutorials on braids, updos, and other fun hairstyles are helping, though! I can honestly say I’ve had more fun with my hair in the last 3-4 months than I have in a LONG time. Love the haircuts you picked! 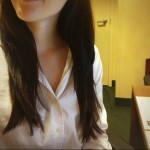 Unfortunately, I just had a major hair change… I got my hair cut 2 days ago and the hairdresser cut off 15cm too much. I did not think I would cry this much over lost hair… yeah, so my advice: only go to a hairdresser you trust 100%! I’m thinking of going shorter too and bangs! But Ombre? Isn’t that over? I was told it was over by several people 6 months ago when I thought about doing it…maybe I got bad advice? I like Lauren’s hair the best. I recently cut 3 inches off my hair & it feels SO much healthier. When you showed your pic several months ago with shorter hair, I thought it looked really good. I cut my hair to my shoulders back in the fall and I love it. That’s what I do though, I have fun growing it for a couple of years, then cut it. It keeps me from getting bored. I always leave it long enough that I can still pull it back or curl it if I want to. I am DIEING for you to cut your hair. I think you could rock the Guilianna or Jessica Alba look easily! That would look so good on you! i’m thisclose to doing it!!! I say go for it! (to both Meg and Gina!) Love the Emma Watson & LC looks! I recently cut off my mid-length tight curly hair to my shoulders and I absolutely love it. It feels so light and bouncy now. I’m making this comment because I am currently teaching my 12-year-old students about copyright and giving credit where credit is due. Those pictures are NOT from “Google Images.” Google Images is a search engine. Those pictures are from actual websites, taken by real photographers who deserve credit for their work. Please click through and give proper credit where credit is due. You’ve read my thoughts exactly……I’m getting ready to do the Olivia Polermo “lob” with ombre!! Can’t wait. I am not sure when your wedding is, but I would wait!! Just my opinion. If you don’t like it, you will be stuck with it for your wedding or be stuck in some weird transitional phase. Just my 2 cents. The day after your wedding though… go for it! I love the looks, but it depends how you want your hair to look on your wedding day!